Most teleost fish reduce heart rate when exposed to acute hypoxia. This hypoxic bradycardia has been characterised for many fish species, but it remains uncertain whether this reflex contributes to the maintenance of oxygen uptake in hypoxia. 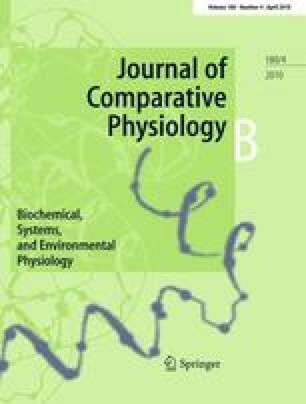 Here we describe the effects of inhibiting the bradycardia on oxygen consumption (MO2), standard metabolic rate (SMR) and the critical oxygen partial pressure for regulation of SMR in hypoxia (Pcrit) in European eels Anguilla anguilla (mean ± SEM mass 528 ± 36 g; n = 14). Eels were instrumented with a Transonic flow probe around the ventral aorta to measure cardiac output (Q) and heart rate (f H). MO2 was then measured by intermittent closed respirometry during sequential exposure to various levels of increasing hypoxia, to determine Pcrit. Each fish was studied before and after abolition of reflex bradycardia by intraperitoneal injection of the muscarinic antagonist atropine (5 mg kg−1). In the untreated eels, f H fell from 39.0 ± 4.3 min−1 in normoxia to 14.8 ± 5.2 min−1 at the deepest level of hypoxia (2 kPa), and this was associated with a decline in Q, from 7.5 ± 0.8 mL min−1 kg−1 to 3.3 ± 0.7 mL min−1 kg−1 in normoxia versus deepest hypoxia, respectively. Atropine had no effect on SMR, which was 16.0 ± 1.8 μmol O2 kg−1 min−1 in control versus 16.8 ± 0.8 μmol O2 kg−1 min−1 following treatment with atropine. Atropine also had no significant effect on normoxic f H or Q in the eel, but completely abolished the bradycardia and associated decline in Q during progressive hypoxia. This pharmacological inhibition of the cardiac responses to hypoxia was, however, without affect on Pcrit, which was 11.7 ± 1.3 versus 12.5 ± 1.5 kPa in control versus atropinised eels, respectively. These results indicate, therefore, that reflex bradycardia does not contribute to maintenance of MO2 and regulation of SMR by the European eel in hypoxia. Communicated by H. V. Carey. This study was supported by the Danish Research Council. The authors are grateful to two anonymous reviewers for constructive criticism.